Michael joined the firm in 1994 as a Summer Associate, and started full time with the firm in 1995 after graduating from law school. He became a shareholder on January 1, 2002. 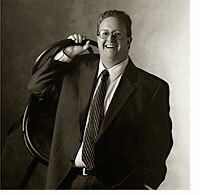 Michael is a member of the firm's Management Team and chairs the Real Estate Law Practice Group. A native of Cincinnati, Michael earned a Bachelor of Science degree in Economics in 1989 from Miami University and a Juris Doctor from the University of Cincinnati College of Law in 1995. While at UC, Michael was an officer and member of the Moot Court Board and received Order of the Coif and Order of the Barristers honors. Michael also completed the Marshall-Wythe School of Law program in London and Exeter, England. Michael represents a diversified mix of clients ranging from start-ups to large public and closely-held businesses, including both profit and not-for-profit entities. His practice includes counseling businesses on formation, technology, and eBusiness issues, negotiating and drafting contracts, arranging financing, participating in all aspects of mergers and acquisitions, and assisting clients in employment law matters. Although Michael enjoys all aspects of his practice, he derives particular satisfaction from assisting his clients in divestitures, acquisitions, refinancings, and restructurings. Transactions Michael has participated in include the $400,000,000 refinancing of a national building company and the sale of assets of a division of a multinational corporation with a purchase price in excess of $45,000,000. Michael has served on the Board of Trustees for Life Essentials, Inc., and Daybreak, Inc., both local non-profit organizations. Michael was admitted to the Ohio bar in 1995. He is a member of the Dayton, Ohio State, and American Bar Associations. His areas of concentration are Corporate Law and Mergers and Acquisitions.